caesari had the most liked content! Freefall... yep. Losing most of my major players and not replacing them with high skill guys means Nebraska will have a rough year or two ahead. Hopefully with a decent recruiting year this past year and a lot of points in 2023, I can get Nebraska into a place where it consistently competes for, and wins, B1G championships. We'll be back. Just not soon. Congrats @Rome, a much deserved national championship for you. Very happy for you! But just remember... Caesar rules over Rome. See you in Lincoln next year! I’ll keep saying that Ballard is as good as it gets. You’ve got the scariest backfield in college football next year, congrats on the great season. Because Devy's arm has seen a lot of wear and tear over the years, we intend to switch over to an offensive playstyle that utilizes his comparatively fresher legs. For that reason, expect us to run a triple option attack next season, with Sean Jenkins playing wingback and Devy seeing 15-20 carries a game. Lincoln, NE-- Billy O'Neill knows how to have a good time. It is common knowledge in Lincoln that wherever Billy goes, the party follows. His reputation arose shortly after arriving on campus, one of two kickers in his class. Two nights after classes began, Billy threw a dorm party that remains part of campus lore. His roommate, fellow kicker Connor Dykes, described it in detail. "It was the best f***ing night of my life up to that point. We lived on the second floor of Harper, at the north end of campus, and the entire floor was there. I'm talking girls, drinks, everything. I'm having a great time chatting with a girl from down the hall when Billy walks up to me. He looks pissed, so I ask him what's wrong, thinking someone had f***ed something up in our room. But he just said, 'It's not good enough.' I didn't know what he meant." Billy disappeared for the next few minutes, according to Dykes. Suddenly, the music stopped and Billy was standing on a counter, yelling. "He was rallying the people at the party like William Wallace rallied his army in Braveheart. All of a sudden, someone grabbed the TV and handed it to him. I had no clue what was going on, and then Billy throws the TV out of the f*cking window," Dykes said, shaking his head in disbelief even four years later. "He'd gone across the street with a few buddies, into the neighborhood, and stolen someone's trampoline out of their yard. They put it under our window, and we began throwing s*** onto it and watching it fly." About that time, Melissa Guthridge, the floor's RA, had caught wind of the party. "I usually tried to let small stuff go, but I'd never heard anything like it. The party was so loud. So after I tried and failed to break it up, I called the University police, just to see if they'd come bust it. When they walked into the room, I'll never forget Billy, wearing a Hawaiian shirt a mullet wig, screaming, "SCATTER!" and then watching him jump out of the window himself. He flew off the trampoline into the bushes and ran away." Billy was reprimanded severely by his coach at the time, Rabid. He was suspended for the start of the season, and he sustained a sprained ankle in the escape that lingered for the rest of the year. He and Dykes also received a few misdemeanor charges against them for hosting the party. Dykes smiles remembering it. "Yeah. It was f****ing awesome." Billy the Kid had been born. By the start of his redshirt freshman season, Billy O'Neill had become a cult hero at Nebraska. His nickname came from his outlandish reputation, which included a suspension, some arrests, and his ability to kick an empty beer can into a trash can 30 feet away. Everyone loved the zany backup kicker, the life of the party who always had the best stories to tell. When Nebraska won the Sugar Bowl against Big 10 opponent Michigan during Billy's redshirt season, a GIF image went viral of Billy grabbing his private area and strutting along the sideline. Then in the spring game, Billy threw a touchdown pass on a trick play and celebrated by doing the coordinated dance from the song of Drake's "In My Feelings" that was so popular at the time. Connor Dykes took over the kicking duties for Nebraska at about the same time as Billy's popularity was soaring. Despite struggling throughout his three years as the primary kicker, Dykes never relinquished his starting role, and Billy only saw the field as an emergency holder on an extra point once. It was an early September home game during his third year on campus, but the crowd roared for him and began to chant his name after the successful kick. There were times, when Dykes really struggled, that the student section would chant "We Want Billy" and boo Dykes. Still, Billy never got his shot. "It wasn't for lack of trying," Billy explains, a wry smile on his face. "I worked hard. Really! I have always had a reputation around campus, but that was loose-tie Billy. When I was at the office-- you know, at practice-- I was laser focused. I felt really bad for Connor, because he's always been a damn good kicker and a damn good friend. Of course I wanted to play, but hearing all the people on campus talking trash about Connor just because they wanted to see me kick so they could laugh about it later. I had Connor's back, but I was also trying to set myself up to succeed if my number was ever called." He thought he was going to get his shot when Caesari took over midway through the 2021 season and the team sat at 3-6, 0-6 in conference. The attitude was abysmal around campus, and Billy fully expected Caesari to give him some game time to try and shake things up. But Nebraska won its last three games of the season, and Connor Dykes stayed as the kicker. "I always supported Connor, but at that point, with one year of eligibility left, I was going to quit and focus on my other campus commitments. I was busy and thought that I had put in so much work into being a Kicker, and nothing was coming from it. So I went in to Coach's office after the season to inform him of my decision, but I told him that I wasn't 100% sure either way. And all he said was, 'the best kicker is going to start next year. If you prove to me this spring you're the best, that will be you. And if it isn't, we will still honor your scholarship next fall.' I figured one more semester couldn't hurt." Connor Dykes had kicked every single kick for the last three seasons for the Huskers. 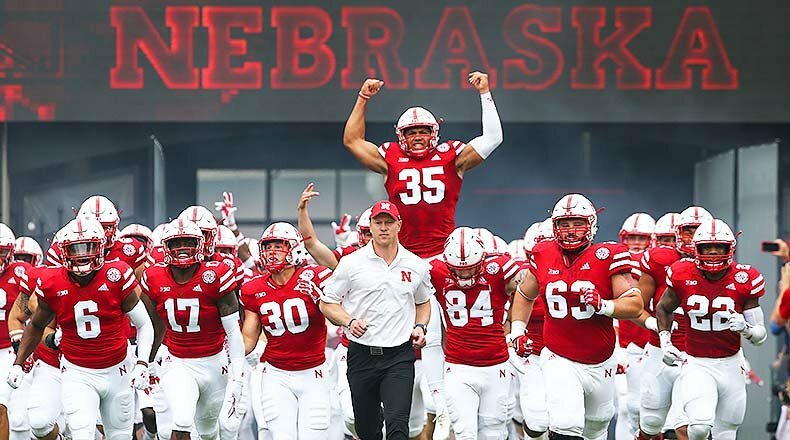 When Billy took the field for the opening kickoff of the 2022 season, Nebraska fans went wild. Some were relieved; some were excited; most just wanted to see what kind of crazy season this would turn out to be. "Most Husker fans didn't have high expectations for 2022," Billy explains. "They would have been fine with just making a bowl game. So I think when I became starter, I was seen as a sideshow distraction that could make the season somewhat more interesting." Billy O'Neill warms up during a commercial timeout before his game winner against Illinois. Billy had another thing in mind. He came up big against Tennessee, and then Auburn, and then Wisconsin. Around campus, people were absolutely buzzing about having a consistent kicker, and that of all people, it was Billy the Kid. By the time the Illinois game rolled around, the Huskers had set their sites on making the Big 10 Championship. The path was clear, and despite a stumble against Indiana, the Huskers controlled their own destiny. They knew that Illinois would be the biggest test left. Billy made 4 field goals that day, the last of which came from 45 yards away when Nebraska was down 10-9 with 3 seconds left. The game winner started wide right and curled back inside the upright, and "That was the biggest kick of my career." Billy went out to the local bar that night and wore cowboy boots and athletic shorts. When ESPN ran highlights of the kick, he grabbed the mic from the DJ at one point and lifted a foot up, declaring, "Billy's got that BOOT!" And thus, Billy the Kid became Billy the Boot. In his only season of game action, Billy O'Neill did not miss a kick until the B1G Championship Game. He was a perfect 29/29, including 15 from beyond 40 yards. His 29 made were the most in college football in 2022. He sits first all time in Field Goal percentage at Nebraska and holds the record for most field goals made in a season. The Big 10 named him the conference's Special Teams Player of the Year. He was hailed by the local media as the greatest kicker in Nebraska history in the lead up to the Rose Bowl, and there is talk he may be able to make a practice squad in the NFL come next season. But Billy the Boot isn't finished yet. "Of course I'm disappointed we missed the playoffs. That was bull****. But I hear there are great parties in L.A. and I know that Rose Bowl Champions will be hitting the town. So I plan on doing everything I can to make sure that it's Nebraska, not Oregon, that gets to celebrate." When asked about his future, Billy shrugs. "I'm gonna finish my degree in special education this year. And I have a few initiatives that we have to wrap up." He pulls out a crumpled paper to explain. It features a full page portrait of himself with the phrase "Vote for Billy the Kid: Student Body President" across it. The backside had his platform listed and included a philanthropic focus, specifically regarding students with disabilities, something Billy has always been passionate about. Oh, did I forget to mention that he was student body president? Well, he was. And he won with nearly 80% of the vote. Two years in a row. May the legend of Billy the Boot never die. *Through heavy breathing into the mic* Yes. Lincoln, NE-- Coach Caesari stood behind the podium today and tried to rally a stunned Cornhusker fan base after being left out of the playoffs in favor of the 3rd placed team in the SEC West. His tone was upbeat, but the mood was somber. "Nebraska has just had its best season in years. I'm proud to be associated with this team and these players. While we wanted to be in the playoffs and felt like we deserved to be in the playoffs, we're going to play in the most prestigious [read: nonplayoff] bowl game that there is. We will be properly motivated when we play the Ducks." The floor is open for questions. Pls be kind and gentle. My heart is fragile. Holy Hell. I have been so swamped with RL, barely able to check the site for over a month. Been gameplanning and that's it. It's overwhelming, and i love this team. GG fever. Jieret's long been one of the best and most dedicated members on the site. Glad to see him join the admin team! I don’t know how he’s done it considering how crowded Illinois is, but @FlutieFlakes deserves a ton of credit for the class he’s built.